Bookend your Disney Cruise Line voyage to the Bahamas and the Caribbean with a fantastical stay at a Walt Disney World® Resort hotel. We’ll reserve your ideal accommodations and ensure you experience all the latest theme-park attractions along with your favorite classics. 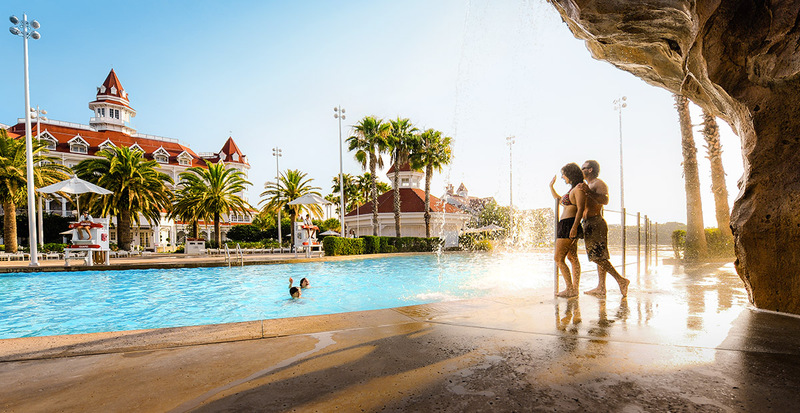 Before you set sail from Port Canaveral aboard Disney Magic, Disney Dream, Disney Fantasy or Disney Wonder, let us whisk you to your resort in nearby Orlando to create two Disney vacations in one — by land and by sea. When you stay at a Disney Resort hotel, you'll be right in the middle of the magic. With more than 25 Disney Resort hotels to choose from, we'll help you find the one that makes your family's vacation extra magical whether that is at the adventurous Disney's Animal Kingdom Lodge near Disney’s Animal Kingdom® Theme Park or the lavish Disney's Grand Floridian Resort & Spa. Plus, you'll receive special benefits, like access to extended Theme Park hours, complimentary Resort transportation and more! A sense of magic surrounds the fairytale turrets of Cinderella Castle in the Magic Kingdom® Park. 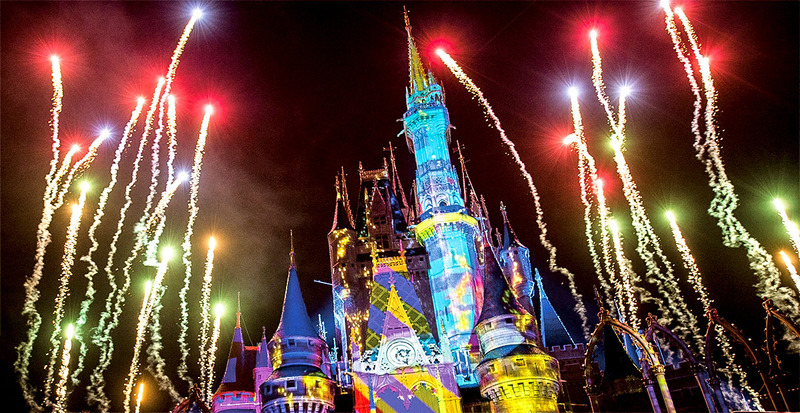 By nightfall, you’ll be transported into a storybook world with the new Once Upon a Time spectacular, a brilliant display of special effects and moving music, colorful characters and your favorite tales projected onto the castle walls. Travel Tip: Your journey to the Magic Kingdom® Park is effortless, thanks to complimentary transportation from your Disney Resort hotel, and we’ll arrange your entire day throughout this beloved park. Epcot® brings you to the world’s most storied lands, with the shimmering orb Spaceship Earth as your launch point. 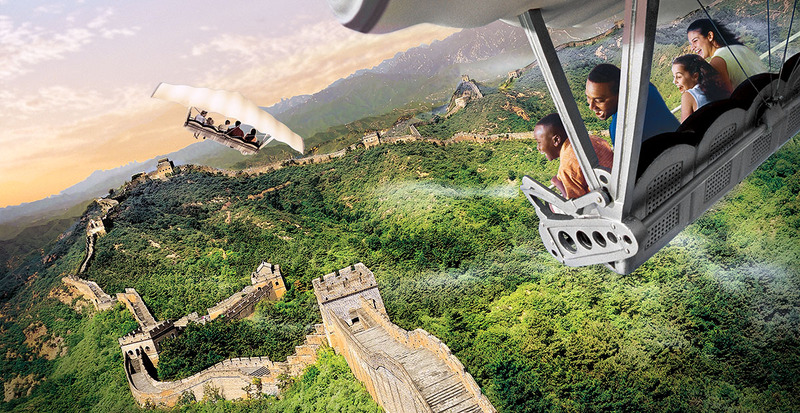 Glide over six continents in the new Soarin’ Around the World attraction — from melodic symphonies at the Sydney Opera House to the splendor of Iguazu Falls that seem to cascade around you on an 80-foot domed screen. In the Norway Pavilion, climb aboard your vessel in the Kingdom of Arendelle, guided by your trusty friends Sven and Olaf, in the new Frozen Ever After attraction. Jedi Training: Trials of the Temple ©Disney/Lucasfilm Ltd. © & TM Lucasfilm Ltd. Discover new and updated Star Wars experiences that bring you closer to the epic saga than ever before. Embark on Star Wars adventures, visit Star Wars locations, meet Star Wars characters, view Star Wars movie props and shop for Star Wars merchandise. 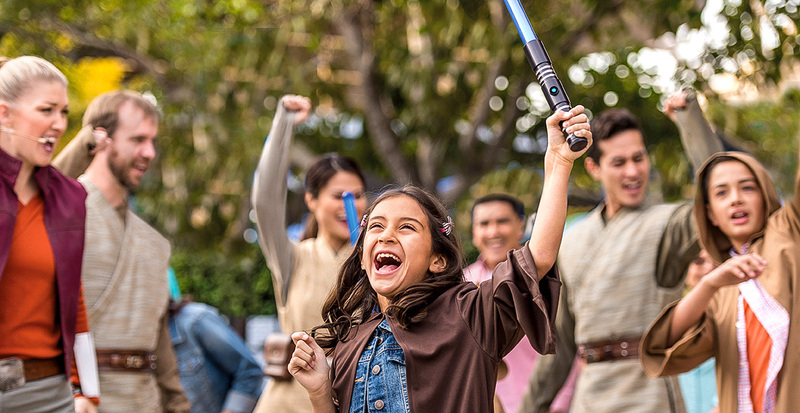 Cheer on younglings as they take on the Dark Side at Jedi Training: Trials of the Temple. Watch the night sky light up with Star Wars: A Galactic Spectacular. Each day in a Walt Disney World® theme park builds lifelong memories. 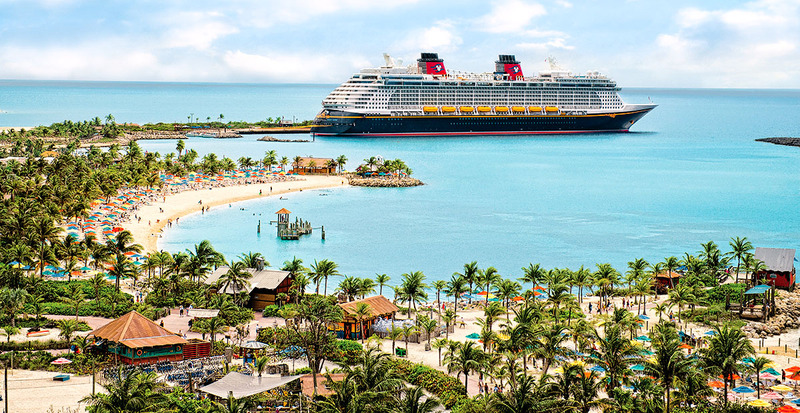 Pair that with a Disney Cruise Line vacation, highlighted by character breakfasts, deck parties with Mickey and friends, and leisurely days on sun-drenched beaches — including your own private island at Disney Castaway Cay — and you’ll experience a family vacation overflowing with joyful wonder. Let us create your magical theme park and cruise vacation for a Disney adventure of a lifetime.